The Picasso, a remotely operated vehicle, on a boat being transported in the Tokyo Bay. Dr. James Hunt, head of the Marine Science Program at ESU, took two weeks off during 2013’s Fall semester to travel to Japan in order to conduct research. Dr. Hunt spent November 2 to November 18 on the Miura Peninsula in Japan, which has one of the oldest continuously operating marine labs in Japan, called the Misaki Marine Biological Station. This facility is affiliated with the University of Tokyo. 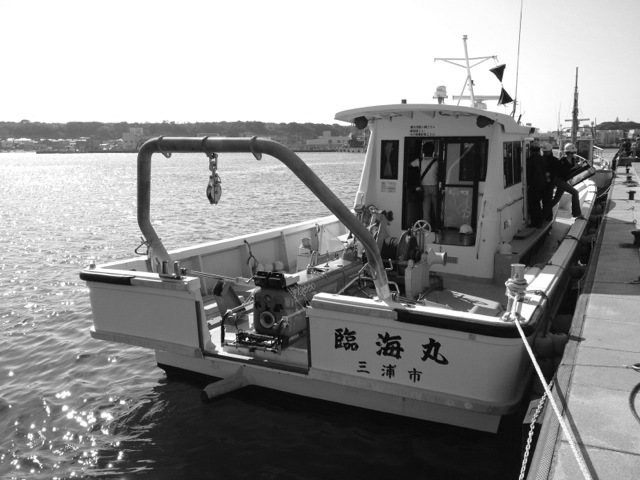 The focus of this research trip was to survey parts of the Tokyo Bay system. This area was of particular interest because of its previous inaccessibility. “The problem has always been that there is one major shipping lane going in, one major shipping lane going out, and very little space in between,” said Dr. Hunt. This problem was solved by the creation of a new remotely operated vehicle, also known as an ROV, called the Picasso. This new ROV is approximately the size of a bathtub and even the equipment is relatively tiny in order to fit the requirements imposed by the shipping channel. This ROV reached a depth of 730 meters, which is the deepest the Picasso has ever gone. On this expedition, the research team found many species of primnoid gorgonians (a type of sea fan), a great number of chimeras (ratfishes), shrimps, jellyfishes, hydroids, and a very unusual shark. When asked what the most interesting thing he found was, Dr. Hunt had three comments. The pictures of this shark have been sent out to several shark experts and the research crewmembers are awaiting a result. One of the suggested reasons for this is the high shipping traffic. Dr. Hunt believes that the high shipping traffic is acting as a deterrent to fishermen, who would fish and dredge the bottom, which in turn helps keep the environment in good condition.